Can I turn off the messaging system? 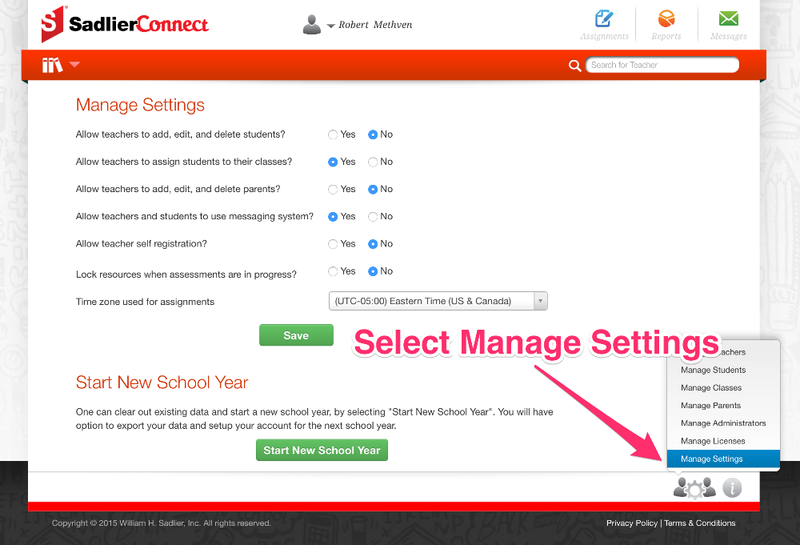 School administrators can turn off the Sadlier Connect message system if you do not wish to use it at your school. 1. You must be logged into a school administrator account to turn off the messaging system..
3. Select "No" for "Allow teachers and students to use messaging system?" to turn off the messaging system. 4. You must select "Save" button to save your settings. 5. 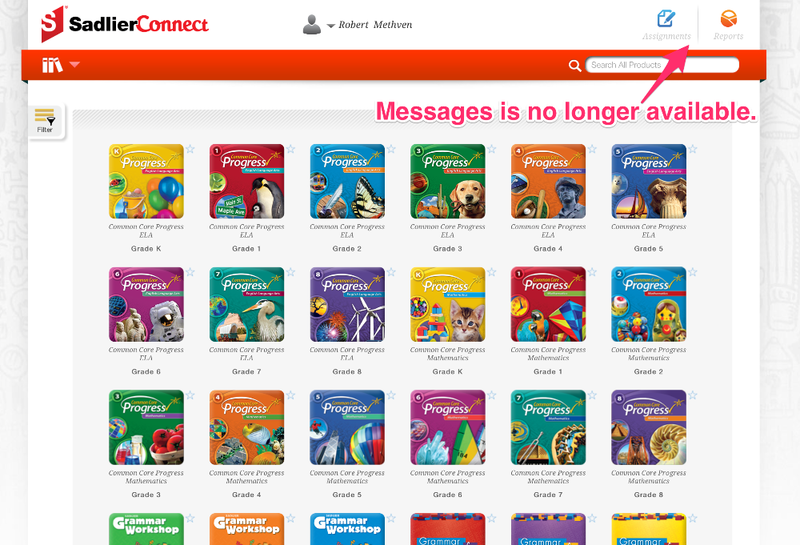 The next time you log into Sadlier Connect the "Messages" button in the upper right-hand corner will not be visible. It will not be visible to any user logging in after it has been turned off. 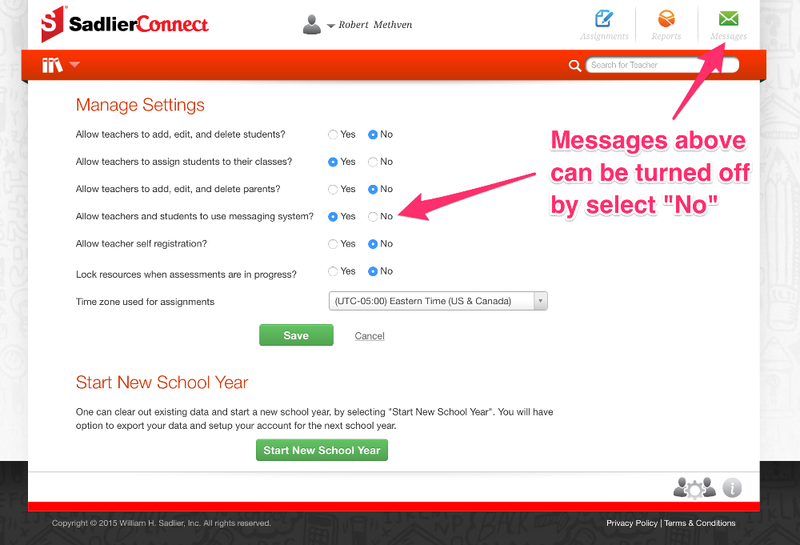 To enable message system follow the steps above, but select "Yes" in Step 3 for "Allow teachers and students to use the messaging system?". Once the setting has been changed it will become available the next time you log into Sadlier Connect.